On the 25th (Mon), enjoy the sand and surf at Playa Punta Soldado Beach and then enjoy the sand and surf at Flamenco Beach. Get ready for a full day of sightseeing on the next day: head off the coast to Culebrita Island, enjoy the sand and surf at Zoni Beach, and then stop by Zinkowski Art Studio. To find more things to do, reviews, photos, and other tourist information, read our Culebra trip planner. Atlanta, USA to Culebra is an approximately 9-hour flight. The time zone changes from Eastern Standard Time (EST) to Atlantic Standard Time (AST), which is usually a 1 hour difference. Expect much hotter temperatures when traveling from Atlanta in December; daily highs in Culebra reach 85°F and lows reach 74°F. Cap off your sightseeing on the 27th (Wed) early enough to catch the flight to San Juan. Kick off your visit on the 27th (Wed): take a peaceful walk through The El Yunque Rain Forest. Keep things going the next day: ponder the world of politics at The Capitol of Puerto Rico, then steep yourself in history at San Juan National Historic Site, and then tour the pleasant surroundings at Pine Grove Beach. To see ratings, photos, more things to do, and more tourist information, use the San Juan itinerary builder. 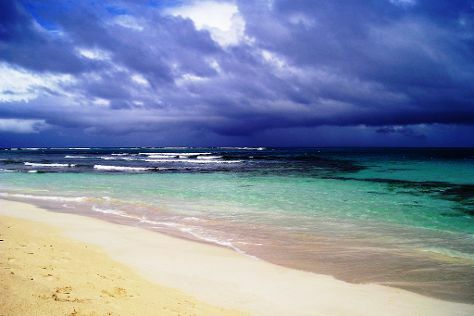 San Juan is just a stone's throw from Culebra. December in San Juan sees daily highs of 85°F and lows of 74°F at night. Finish your sightseeing early on the 28th (Thu) so you can travel back home.